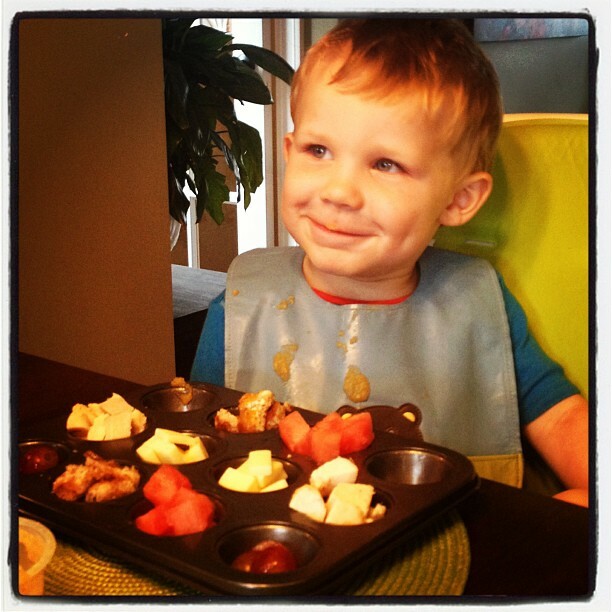 Do you have a kid who’s a picky eater? A grazer? How about a mish mash of leftovers in your fridge right now? Nothing to make for lunch because you are due for groceries? If you answered, “yes”, to any of these questions then you need muffin tin meals in your life! I know they look like something the modern, trendy mom might do but trust me…those trendy moms have you fooled because these are simple and practical and a great alternative to take the pressure off at meal time. If you have a muffin tin in your kitchen right now, then use the same effort you’d use to reach up and grab a plate, and grab the muffin tin instead. Take any food at all. Cut it up. Stick in tin. Serve. Voila! You seriously have got it together mom! Look at you go! Aside from the simplicity, muffin tins provide that little bit of novelty to make meal time interesting and exciting for kids. cut up vegetables – baby carrots, cherry tomatoes, celery, broccoli, cucumber etc. cut up fruit – berries, apples, oranges, grapes, banana, avocado, melons etc. 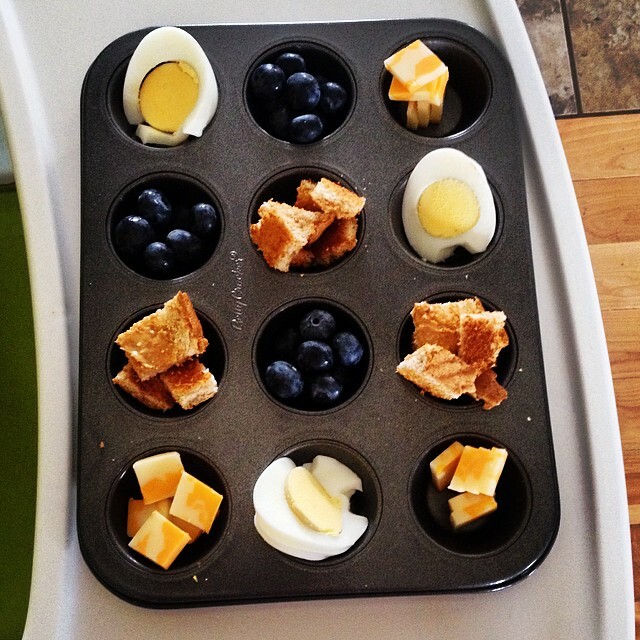 Experiment with muffin tins of different sizes and shapes. Sometimes you can find larger silicone molds that come in fun shapes. Add some flair to your muffin tin meals by using colorful or themed silicone or paper muffin cups in the compartments. I like to do this for the dessert compartment and throw in some arrowroot or a few cookies. Other ideas? Please share in the comments below! For the scrapbooking moms out there… check out my very first layout review video!